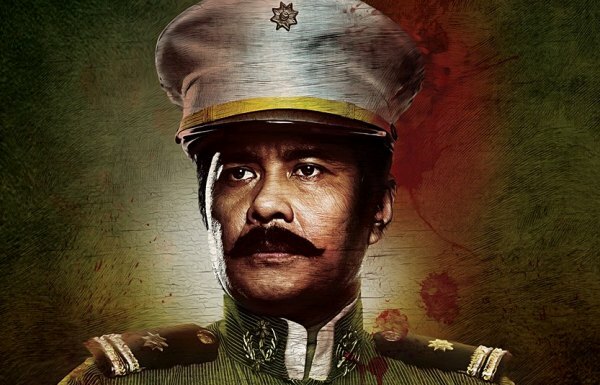 Heneral Luna, Jerrold Tarog's highly-acclaimed historical epic about General Antonio Luna has been selected as the Philippines' official entry to the Academy Awards (The Oscars) next year. The official Facebook page for the film made the announcement on Monday afternoon (September 21). "We are happy to announce and share with everyone the good news: Heneral Luna has been selected as the Philippines' official entry to the 2016 Oscars in the Best Foreign Language Film Category," the page stated. Also on Twitter, Philippine Daily Inquirer writer Marinel Cruz tweeted, "Jerrold Tarog's Heneral Luna is our bet to the 2016 Academy Awards for Best Foreign Language Film, said FAP director general Leo Martinez." Cruz was referring to the Film Academy of the Philippines, the organization responsible for screening, selecting, and submitting the films that will represent the Philippines at the annual Academy Awards. The organization was established in 1981. Since its release about two weeks ago, Heneral Luna has reaped mostly positive reviews from both viewers and professional critics. Majority of the accolades are pointed towards Tarog's almost flawless direction, the cast's great acting (John Arcilla in particular who played Luna), and Pong Ignacio's brilliant cinematography. The film found itself in a bit of controversy when it was pulled out from many theaters just more than a week after it started showing. The move was supposedly to free up theaters and accommodate foreign films. The pullout drew backlash from the public. Due to public clamor, the movie eventually found itself being screened in more theaters. Heneral Luna's main cast is composed of John Arcilla (Antonio Luna), Mon Confiado (Emilio Aguinaldo), Epi Quizon (Apolinario Mabini), Paulo Avelino (Gregorio Del Pilar), and Leo Martinez (Pedro Paterno). Next year's Academy Awards will be held on February 28 at the Dolby Theater in Los Angeles, California. The Philippines' entry to the ceremonies last year was Lav Diaz's Norte: Hangganan ng Kasaysayan. So far, no Filipino film ever made it to the list of final nominees.